How do I look after Bamboo Flooring? How to look after bamboo flooring can be quick and easy. Firstly, you will want to protect your bamboo flooring from unwanted and unnecessary damage. 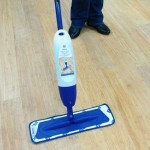 Secondly you will want to know how to keep your bamboo floor clean and fresh. This entry was posted in Bamboo Floors, cleaning bamboo flooring and tagged bona spray mop, sweeping bamboo, protecting my bamboo, protecting bamboo, cleaning bamboo floors on December 4, 2018 by chris elliott.